CLICK TO VIEW THE 1982 CHANGE OF COMMAND BROCHURE! Born on 30 May 1931, the son of Otto W. WILL, Jr. and the late Mrs. WILL, Commander WILL is a native of Metuchen, New Jersey. He graduated from the U.S. Naval Academy and was commissioned in June 1953. USS HUNT (DD-674) was Commander WILL's first ship, on which he was First Lieutenant. 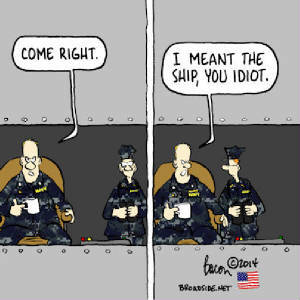 After two years, he was ordered to USS RUFF (MSC-(0)-54) as Executive Officer, serving there 1955-1957. Following six months at U.S. Naval CIC School in Glynco, Georgia, Commander WILL reported aboard USS MACON (CA132) where he served as CIC Officer. Rotating ashore in 1959, Commander WILL reported to the U.S. Naval Academy where he served three years as a naval operations and naval operations drill instructor in the Command Department. 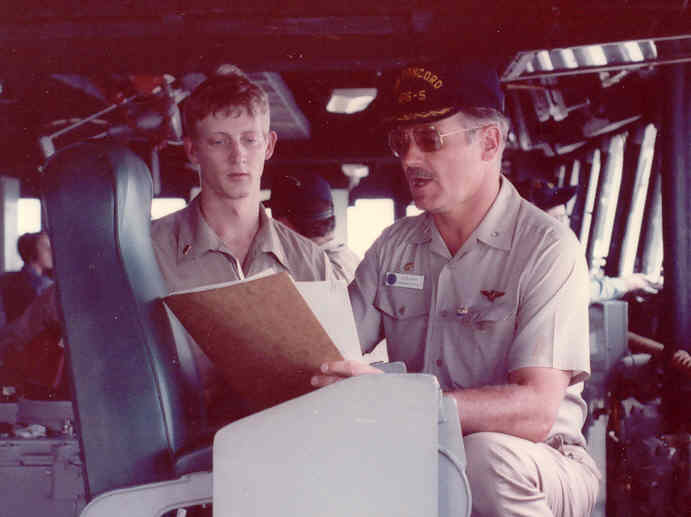 Commander WILL's next sea tour took him in 1962 to the Staff of Commander Destroyer Squadron TWENTY-EIGHT where he served as Chief Staff Officer and Operations Officer, then to USS FURSE (DO-882) in 1964 for duty as Executive Officer. 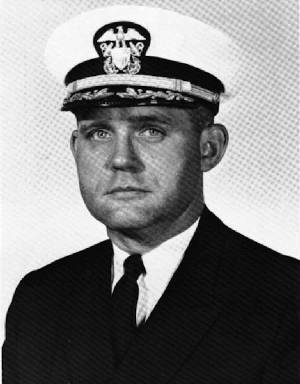 In 1965 Commander, WILL reported to the Bureau of Naval Personnel where he was Head of Schools Placement Section. Two years later he departed Washington for the Naval War College in Newport to attend the School of Naval Command and Staff. 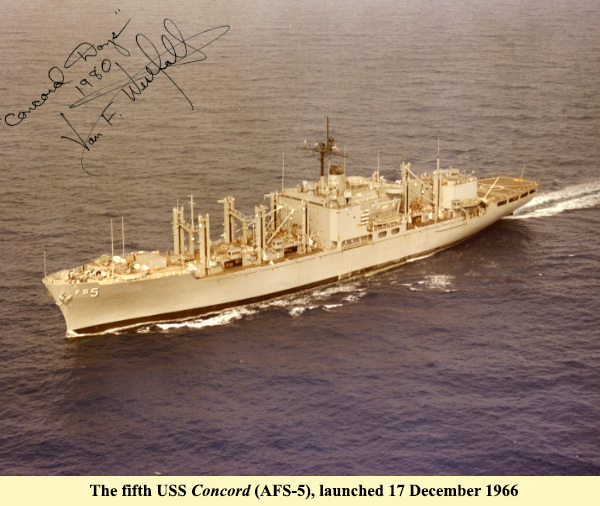 Returning to sea duty in mid-1968, Commander WILL served as Executive Officer, USS BELKNAP (DLG-26) until he took command of USS NEW on 2 February 1970.Captain Will served as Commanding Officer of USS CONCORD AFS-5 from 1977-1979. Service medals awarded Commander WILL include China, National Defense with one star, Korean, Armed Forces Expeditionary, Vietnam and United Nations. Commander WILL and his wife, the former Shelby Everett of Orefield, Pennsylvania, with their three children make their home in Virginia Beach, Virginia.